Since 2007, ArtsWorcester has placed paintings, photographs, collages, and mixed-media artworks into downtown businesses, activating corporate environments, injecting creativity into the workplace, and benefiting clients, customers, and employees alike. Each artwork rental is configured for the client’s taste and budget. An initial walk-through and conversation, without charge or obligation, is the first step to determine what will work best for your offices. Size, style, and frequency of rotation are all specified for your needs. These exhibits generate important credentials and sales for a talented pool of professional artists working in Central Massachusetts. Art At Work clients improve their work environment, while supporting our mission to sustain and celebrate contemporary art. 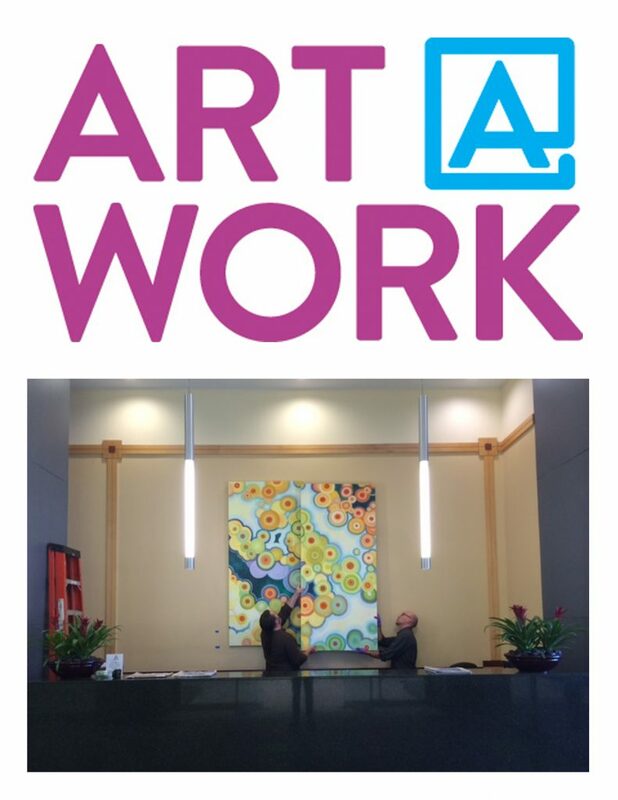 To learn more about Art At Work, please contact Executive Director Juliet Feibel at 508-755-5142. Browse our Look Book to get ideas for your office.